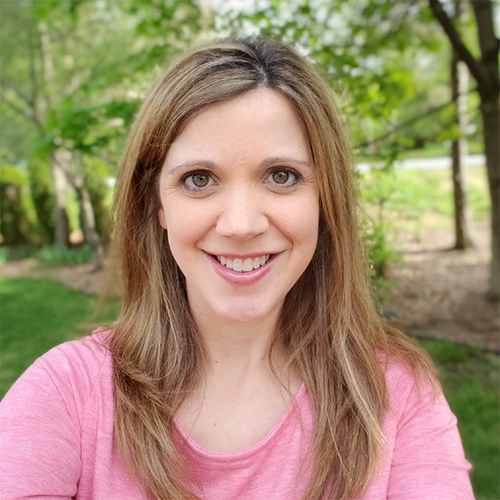 I have been busy, busy, busy this week getting ready for my sister-in-law's baby shower. We are having it at my house in the backyard under a tent. My brother and a few friends are going to be down in my basement in my husband's newly finished mancave for a diaper party. It all sounded like an easy idea when we started planning it. Until this week when I realized how much cleaning I need to do....I hate cleaning. Love organizing...hate cleaning. Plus lots of shopping and food prep to do. And craft making for decorations. Busy...busy....busy...but for a good cause. As I've been getting ready for this shower, I thought back to the shower the staff at my school had for me when I was pregnant with K. Their tradition was that all of the staff members brought a book for the new baby. We had a big staff so I think I got at least 30 new books. Wow! I think we got a gift certificate too but I don't even remember because the book gift is what stuck with me. We got board books, books with cds, classics, new titles, paperbacks, hardcovers, picture books and treasurys. Awesome doesn't even begin to cover it. It was such an amazing start to K's library. We have read many of those titles over and over again and some she still hasn't grown into yet. Yes, I'm a former elementary school teacher which means I have thousands of books in boxes in my basement so did my baby need books? Maybe not, but who doesn't love new books? We haven't even explored my classroom books yet because K has so many great books in her room. With that in mind, we sent an attachment in the invites for my sister-in-law, requesting that everyone bring a book instead of a card. I love this idea. Cards are expensive and what do you do with them? (Okay so I'm pretty sure we have our wedding cards saved along with all the cards we got after K was born but we certainly aren't doing anything with them.) What an excellent way to get some new books and start the baby's library. It is hard to remember not to get a card since that is the normal routine. I almost reached for a card as I wrapped my gift until I remembered my own directions to bring a book. My other sister-in-law was worried about picking out the same book as someone else. I told her not to worry. We got duplicates at my school shower and have gotten several duplicates of other titles since then and we still love and use them. We have books in both girls room (okay so M's book collection is a little small at this point so when she is old enough to notice we will have to move some of K's books to her room), books in our family room, books in the bathroom (yay potty training! ), books in the car, books in the diaper bag, books in busy bags for church. Plenty of places to put books even if they are the same title. I think I also took a few duplicate books and toys to my parent's house so that my kids could play with them over there. So moral of the story....don't worry about duplicates. 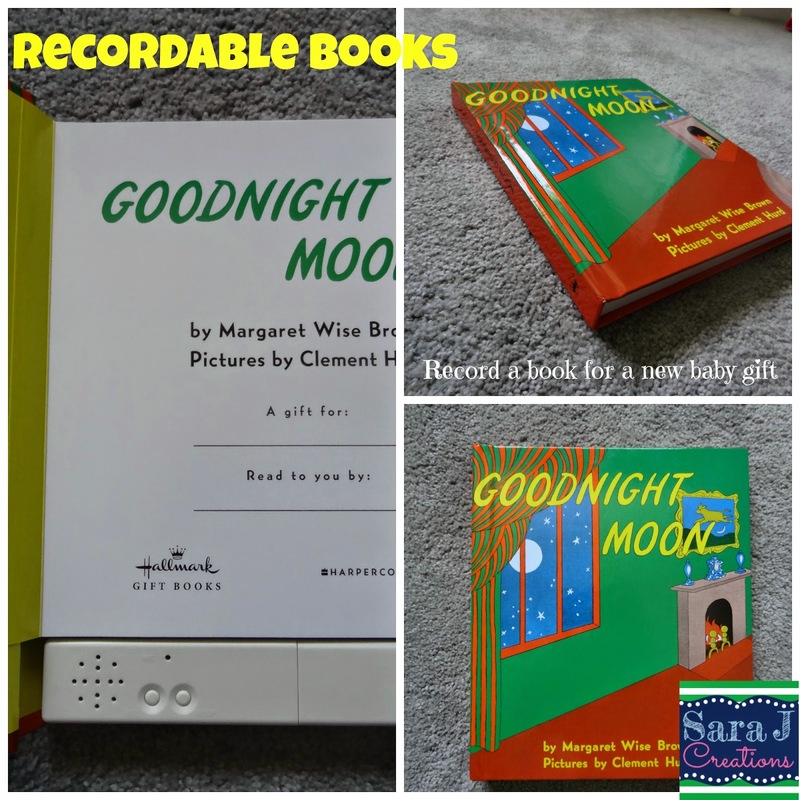 Another great idea if you want to make sure you aren't getting the same thing as someone else or you are particularly close to the new baby is to do a recordable book. K has two of these. A Christmas book from my in-laws and Goodnight Moon from my brother-in-law and his wife. Hallmark sells these and they are easy to record. I have to say K didn't really use them until recently and it scared her the first time when it started talking by itself. She has read Goodnight Moon at my parents' house so she was shocked when this one made noise. But now she loves it and we love that she gets to hear her aunt and uncle read her story even though they currently live in another country. I'm even thinking of asking other family members to consider recording books for my girls since they love it so much and they can listen instead of needing it read to them. HERE is a link to some of the titles that Hallmark has for sale. Books, books, books. You can never have too many books. 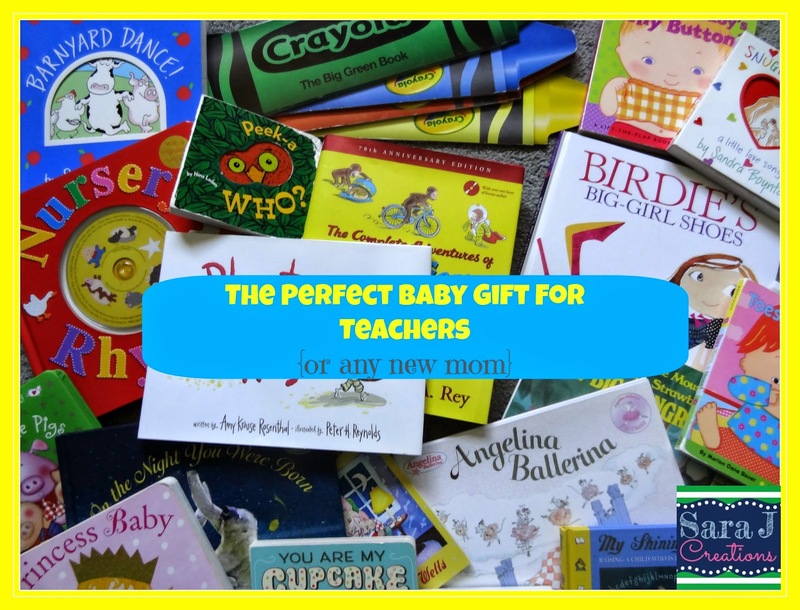 Books for a baby shower are the perfect gift for teachers or any new mommy in your life. Okay I've delayed enough...back to cleaning as I'm fearing this party might move indoors. Praying for no rain but the forecast isn't looking promising.